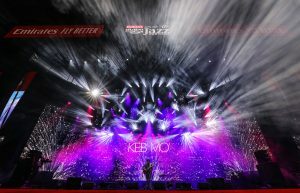 The 2019 Emirates Airline Dubai Jazz Festival staged at Dubai’s Media City Amphitheatre and presented by Mastercard included a diverse and star-studded line up of premium international artists, including Snow Patrol, Alicia Keys and Jamiroquai, which were lit with 72 x Robe MegaPointes and 48 x Spiiders – among other lights – supplied by top lighting rental company, MediaPro. 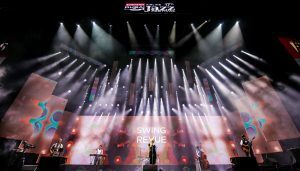 Produced by Done Events, this was the first time MediaPro has been a technical supplier – lighting and video – for the Jazz Festival. The event’s production design, incorporating both these disciplines plus set and scenics, was a vibrant collaboration between production designer Miguel Galvao and his assistant Andreas Malan from RAW Concepts working with MediaPro’s Harold Fernandes who was senior LD and set designer. The goal was to create the best possible audience experience by ensuring that the rig looked larger and more impressive than in previous years whilst also capable of being pulled back to add that essential intimacy so suited to the music and performances. 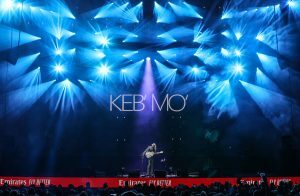 It also had to offer international standards to satisfy the lighting designers and directors looking after the three headliners – Bryan Barancik for Alicia Keys, Matt Jensen for Jamiroquai and Davy Sherwin for Snow Patrol. 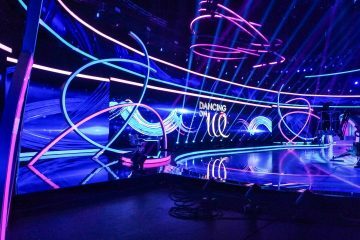 With large amounts of LED screen onstage, it was imperative that they used bright and powerful lighting fixtures to achieve a good balance between the two disciplines, and MediaPro’s new MegaPointes and Spiiders were an obvious choice. The fixtures were part of a substantial Robe investment made by the company in the last 12 months. A StageCo roof structure was installed by AES, complete with a series of circular trusses between 18 and 28 metres in diameter, which were used to create a curved LED design with some elements on Kinesys hoists for movement and to lift the upstage LED screen for band changeovers. Multiple spreaders were used in the roof to create points exactly where needed for this and for the lighting trusses. Forty-two of the 72 x MegaPointes were rigged on seven vertical truss pods along the back and upstage sides of the stage, together with another 12 on three horizontal bars creating a powerful wall of effects lights. The other 18 were on three trusses, one positioned mid-stage with two in the offstage / upstage corners. The luminaires were used for all the fantastic gobo effects and spectacular aerial eye-candy as well as for super-bright beam sources when needed. The 48 x Spiiders were dotted around the overhead trusses and used for general wash lighting and creating rich and impressive colours. Some of the visiting LDs got arty with the ring and pixel control and the Spiiders’ central LED effects. “Everyone enjoyed the brightness and range of effects on the MegaPointes and the fabulous clear optics” reported MediaPro’s owner Abeesh Pushkaran. One of the many features that he likes about the MegaPointes is the fact that a gobo or a mid-air effect can be perfectly focussed at almost any distance with the zoom in or out. A pre-vis studio was set up on site in the artist area for LDs to programme, tweak and update their showfiles during the daylight hours, as the dark and quiet time between the previous night’s show coming down and the sun rising… was extremely short! For lighting control there were two grandMA2 full sizes at FOH and a GM2 light for the previz, running over three NPUs for processing. 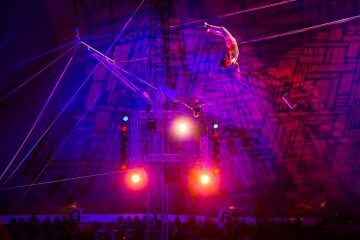 The lighting and video elements worked closely together so textures and colours could be matched and contrasted at times for the best effects All the rigging calculations and supervision was undertaken by Colin Silvers, MediaPro’s head of rigging. MediaPro International is a technical production and rental company providing innovative technology and creative design solutions to all sectors of the events market. Established in the UAE in 2004 by Abeesh Pushkaran, the company has built a prominent presence throughout the Middle and Far East which is driven by a vision and commitment to delivering cool and creative results to an ever-increasing and diverse client base. 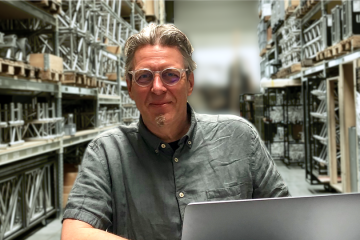 A proactive program of investment and expansion over the last decade has seen MediaPro evolve into one of the most successful and largest full-service technical event solution companies within the Middle East region. This process has included the recent acquisition of these Robe moving lights, a choice based on popular demand. These Spiiders and MegaPointes are the first Robes purchased for the Dubai branch as “reliable and rider driven” multifunctional lights for large scale music shows and festivals, and to support the ever-growing number of international artists playing the region.